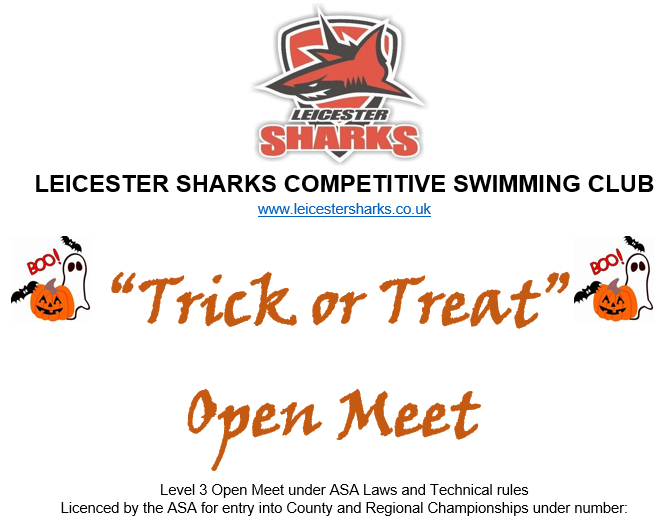 Leicester Sharks will be holding a "Trick or Treat Meet" at Pingles Leisure Centre on Saturday 26th and Sunday 27th October 2019. No 3EM191240. Trick or Treat Spot prizes!